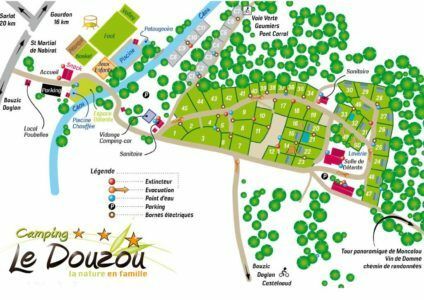 Douzou: A cheap campsite in the Dordogne! Are you looking for a campsite in Périgord at the right price? 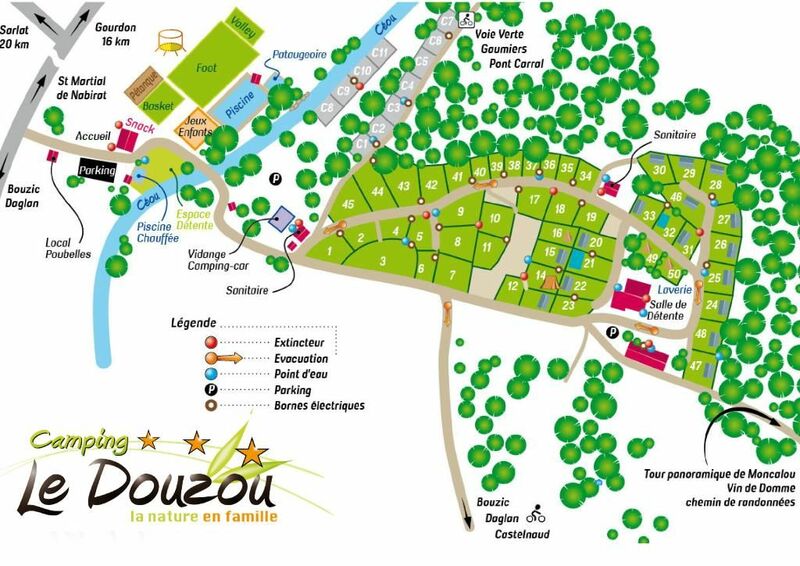 The douzou guarantees the comfort of a 3-star campsite without a multitude of paying options being added. Low prices, free services and a warm welcome will be the key words of your holidays. Whether it’s our accommodations or the services we offer. We try to offer the best value for money campsites Dordogne. Cheap accommodation in Périgord Noir. In Douzou the low season is from April 1st to July 8th and from August 25th to September 30th. This is the period of small mini prices and cheap camping in the Dordogne. You are in love ? Take advantage of our package couple to 190 euros the week valid for all our rental. A mini-price holiday in mobile home or tent lodge. No option to add because there is no booking fee and TV is included in the price. You will enjoy our heated pools, our bar area and free coffee every morning when you pick up your bread order. Families also have the right to stay in a cheap campsite in Dordogne. In low season, you will enjoy a mobile home 2 or 3 bedrooms for 4 to 8 people or a lodge tent. But in douzou there is also all the material on your site. Parasol, one or two sunbathing and a barbecue that are put at your disposal free of charge. Quality services and often free at the campsite in Dordogne. Riverside and heated pools in Black Périgord. Our campsite is crossed by the river Céou. A small bath, a game of fishing or a canoe trip? You will be able to borrow our boats and all the equipment for free on our water course. The comfort of a 3-star campsite in the Dordogne is also our heated pools. Our large pool with a depth of 1m50 will delight the greatest number. In search of tranquility you will opt for our small 1 meter deep pool, which is a little further away. The little ones will have fun in our paddling pool at room temperature. Your comfort is our priority at the cheap campsite near Sarlat. A free WiFi access and brand new is available around the reception N ° 2 in low season. In high season, wifi is available around the snack bar, the reception N ° 1 and heated pools. The campsite is equipped with 2 toilet blocks with baby spaces and for disabled people. We guarantee that you will never be short of hot water. A small grocery store is located in the activity room in low season. In high season a larger grocery store is set up at the reception N ° 1. Our campsite in the Dordogne is not expensive. Our desire is therefore to practice low prices to provide you with the necessities of life. Our snack bar opened in July August will offer you delicacies and drinks at more than reasonable rates. In low season, a bar area with outdoor terrace is installed in the activity room. All our games, ping pong, table football, children’s playground, trampoline, billiard and equipment to participate are free and self-service. Our multilingual presenter from July 8 to August 25 will organize many games and animations without ever asking you out your wallet. 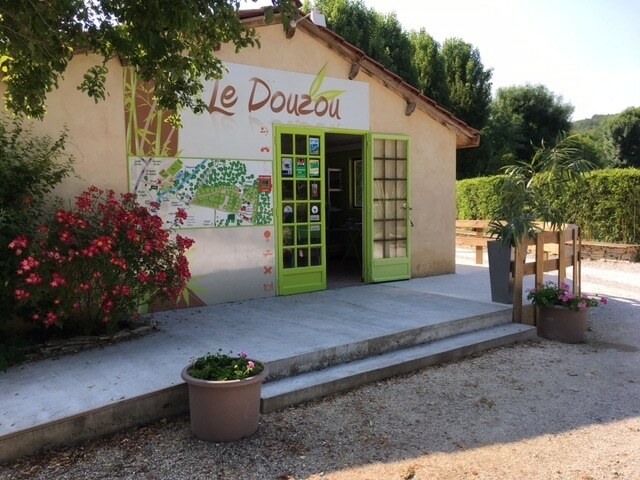 The Douzou is a campsite that respects your purchasing power. At the height of the season, in July and August, our most beautiful rentals are less than 800 euros per week. These mobile homes 3 bedrooms for 6 to 8 people are equipped, without extra charge, TV, a towel radiator and a covered terrace. Without forgetting all season long our smile and our availability to make your holiday unforgettable.